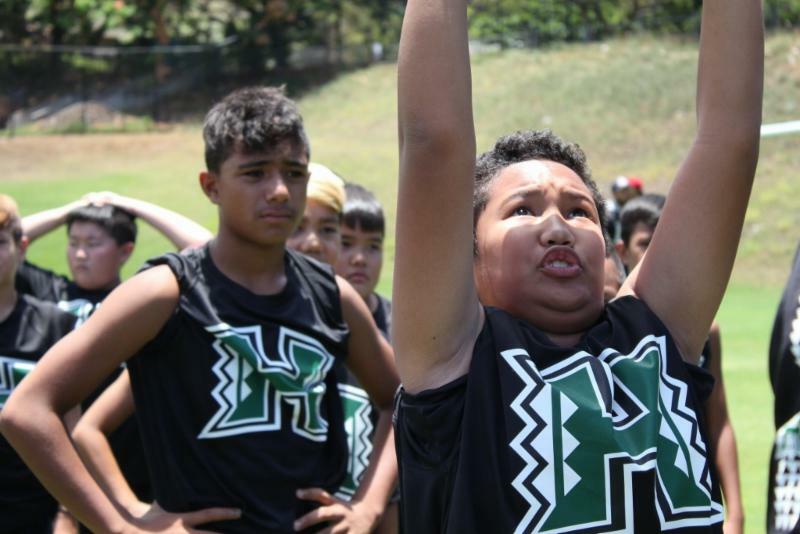 Make an Impact, Ignite Hearts, Change Lives in Hawaii, & Join our Winning Team! 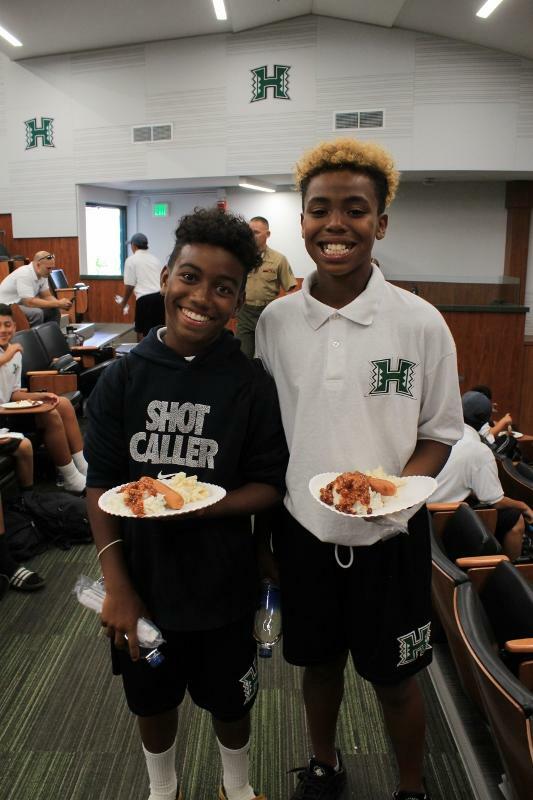 The University of Hawaii hosted for the first time ever, a two-week program with the Youth Impact Program from July 3 – July 14, 2017. 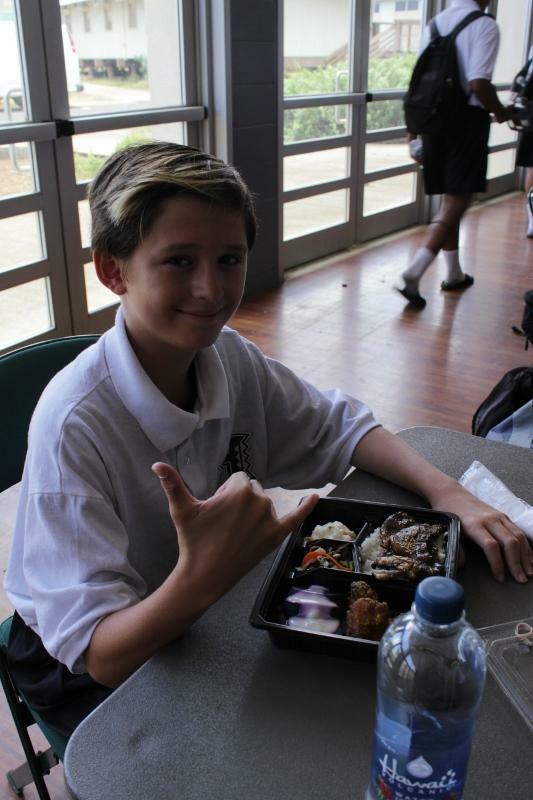 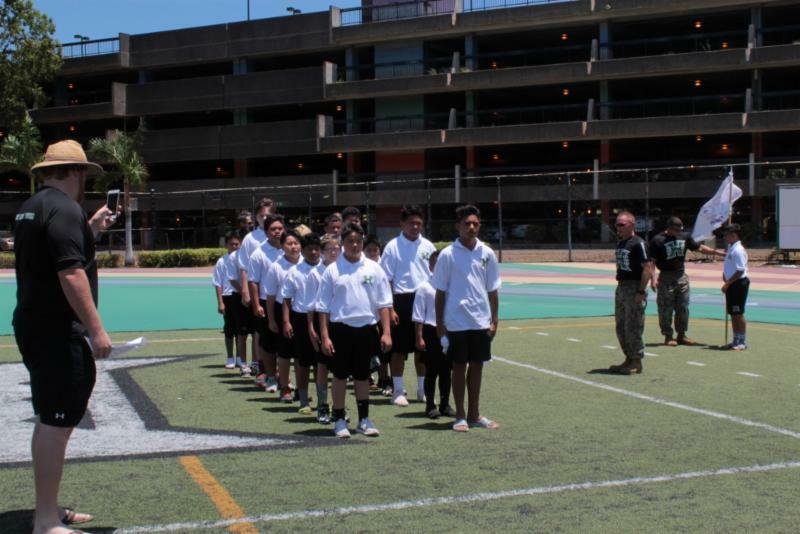 We identified over 100 young boys that are at risk and economically disadvantaged in Honolulu. 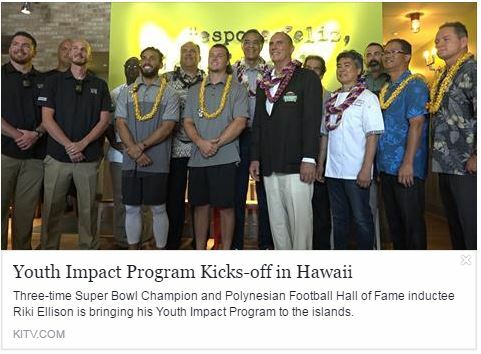 YIP is an educational (STEM) leadership program that establishes trust, relationships and access between the greatest learning institution in Hawaii and the disadvantaged youth in Honolulu. 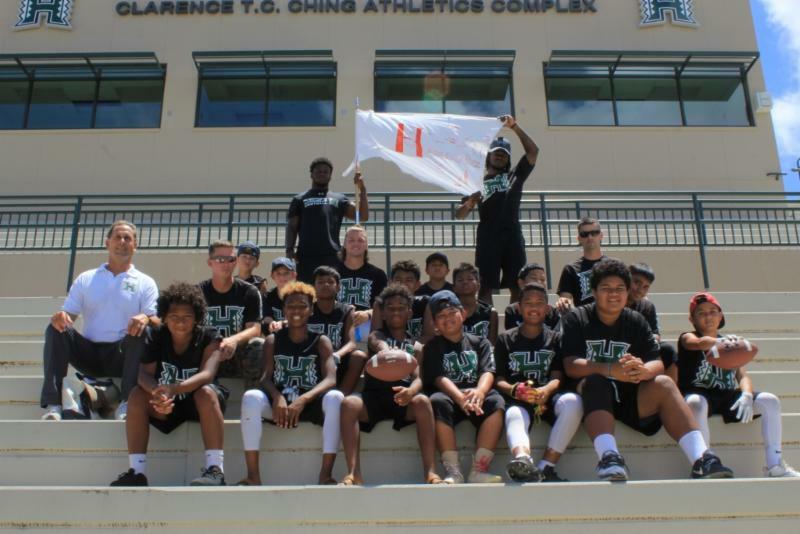 YIP increases academic scores, provides winning culture, instills respect, discipline and character that reduces youth violence, provides educational growth and develop life skills using the students and staff of the University of Hawaii and the YIP team. 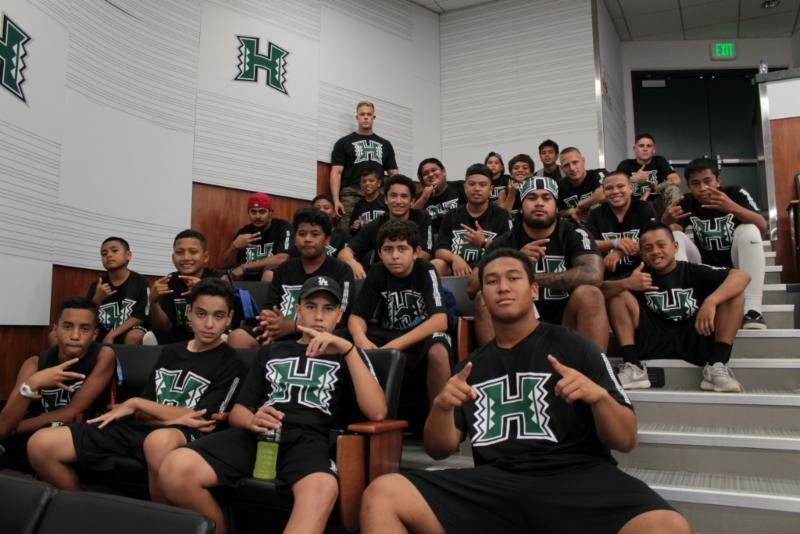 The University of Hawaii YIP is composed of UH Student Athletes of the Football Program and Athletic Department staff, the U.S. Marine Corps, and the U.S. Army Pacific. 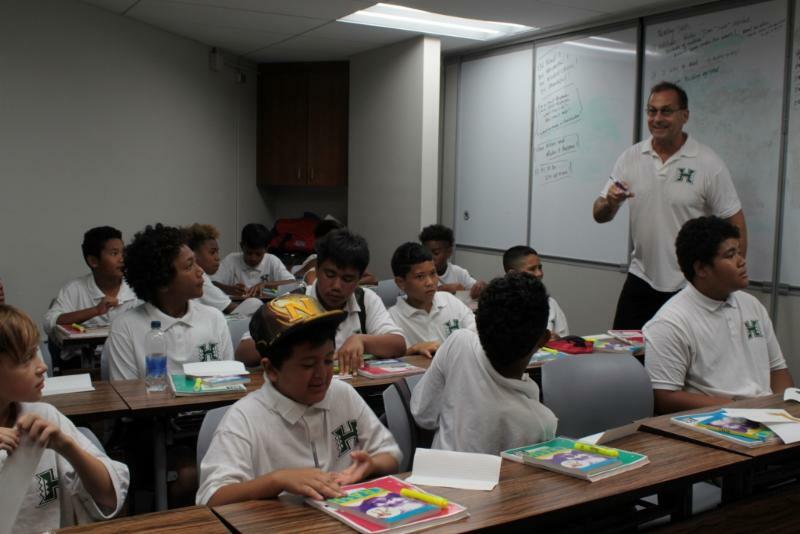 During the two week program, students receive over 60 classroom hours of instruction covering the fundamental school subjects of Math, English and Science and life skills. 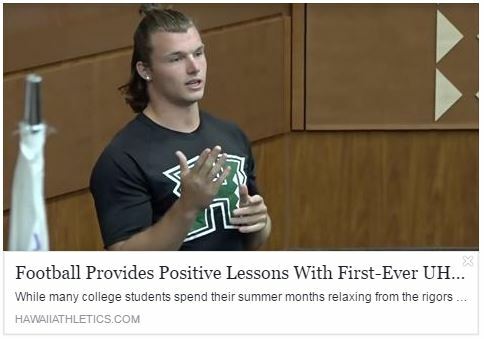 The program is designed to ignite passion within the young students on education, desire to graduate from high school and achieve secondary education and most important to have courage of leadership and character to overcome the challenging environments they face in and live on a daily basis. 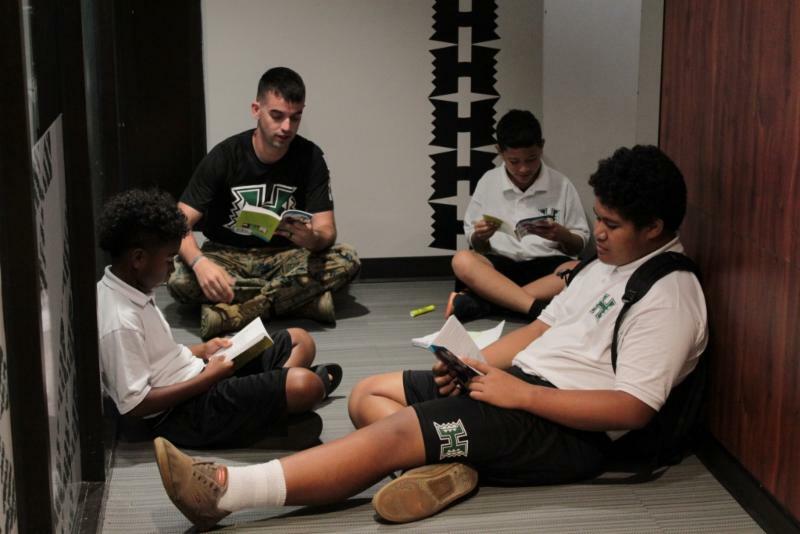 The program’s goal is help increase high school graduation rates and to provide these students the confidence and courage to responsibly make the right decisions at the right time for the right reasons under stress or duress for their lifetime. 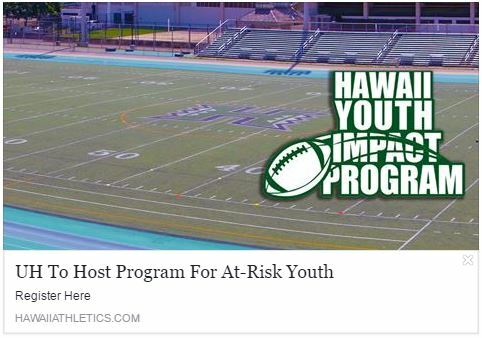 The University of Hawaii YIP covered the entire cost of the program for each “at risk” youth participating which includes clothing, two meals a day, daily transportation, field trips, program staffing by UH Student Athletes, academic and athletic material at the University of Hawaii campus. 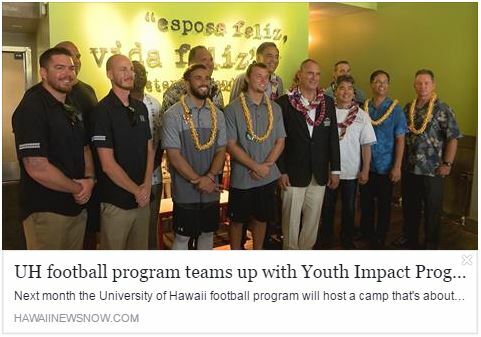 The students also experience two hours a day of physical development, football skills and winning culture taught and coached by the University of Hawaii student athletes. 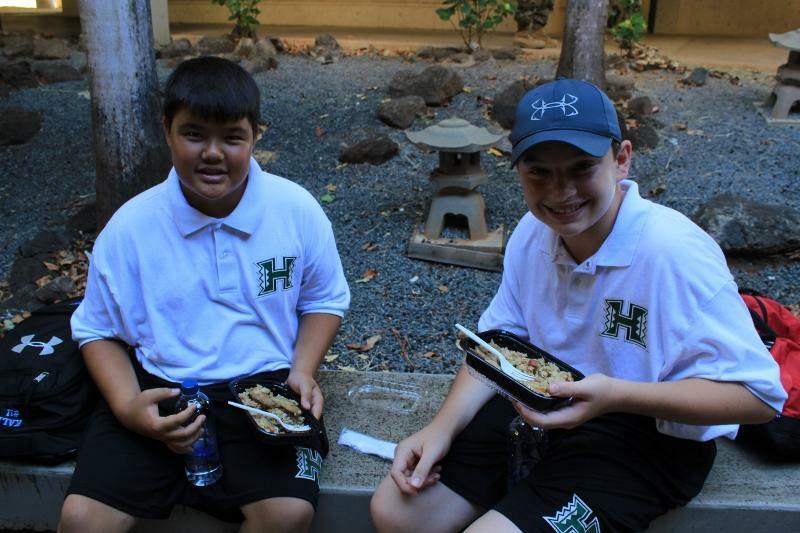 Our winning team at the core foundation build and onset of this great program with Chef Roy Yamaguchi, First Hawaiian Bank, Roberts Transportation, and 20 local Hawaiian restaurants. 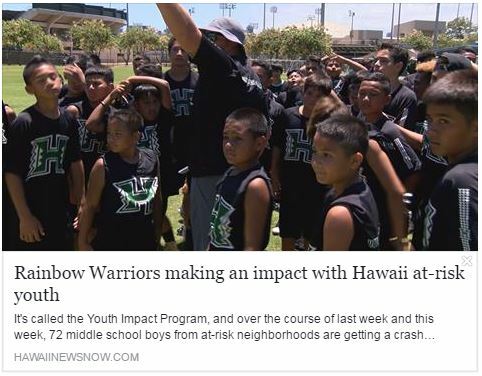 Be a winner with us at the beginning foundation for the good of Hawaii, the good of the Honolulu Community and be on our winning team as we make change and permanent impact for the good of the community, with the community and by the community of Honolulu and Hawaii. 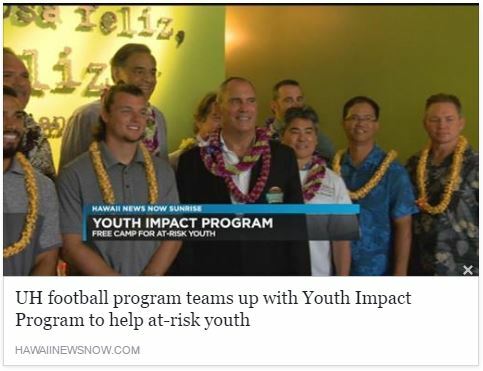 This Youth Impact Program is a phenomenal inspiration from the Hawaiian Community whom all came together as one, led by all of us, but especially Roy Yamaguchi. 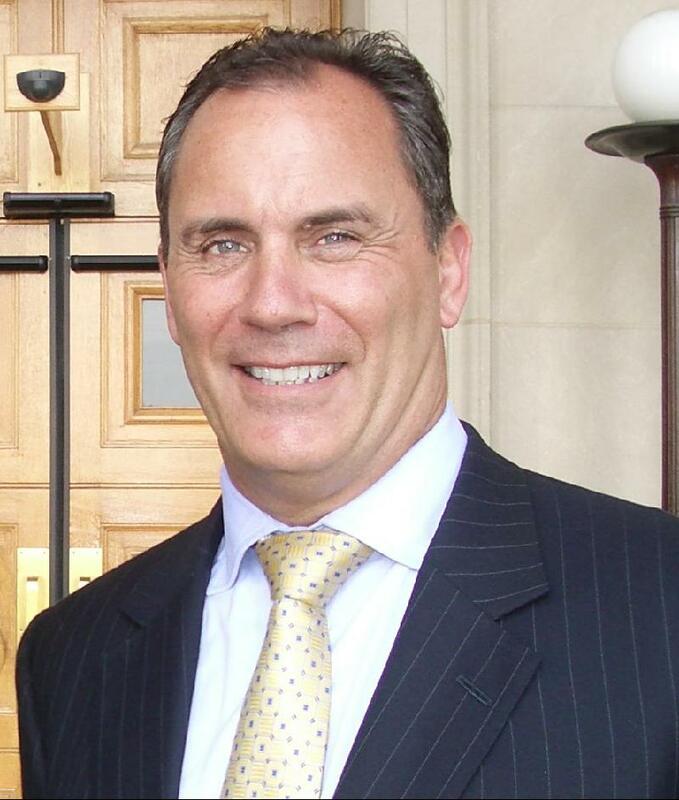 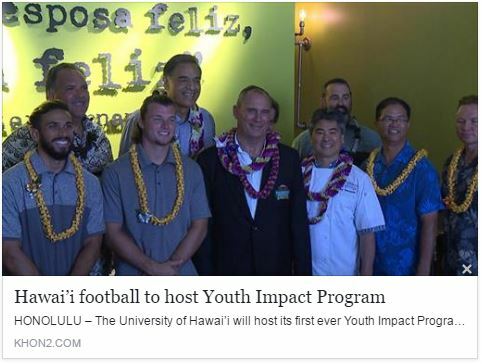 The program is a reflection of the University of Hawaii and its winning leadership of Head Coach Nick Rolovich in his commitment to the community with his student athletes, and the staff of the Athletic Department of the University of Hawaii, the United States Marines, and the United State Army. 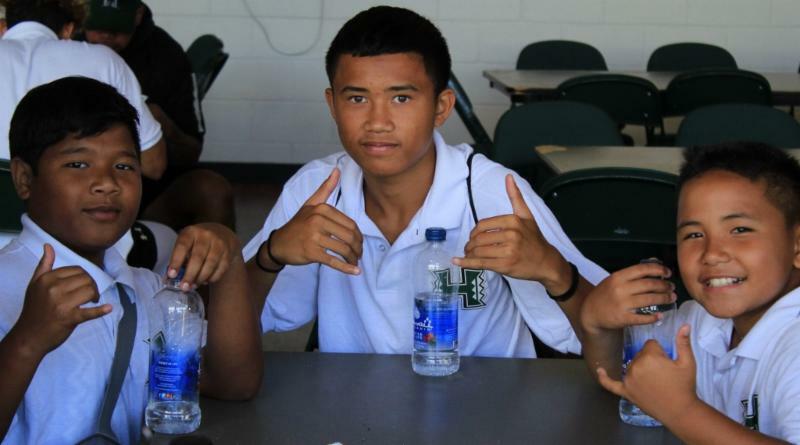 They were the dream makers and igniters of hearts for these boys from Honolulu.